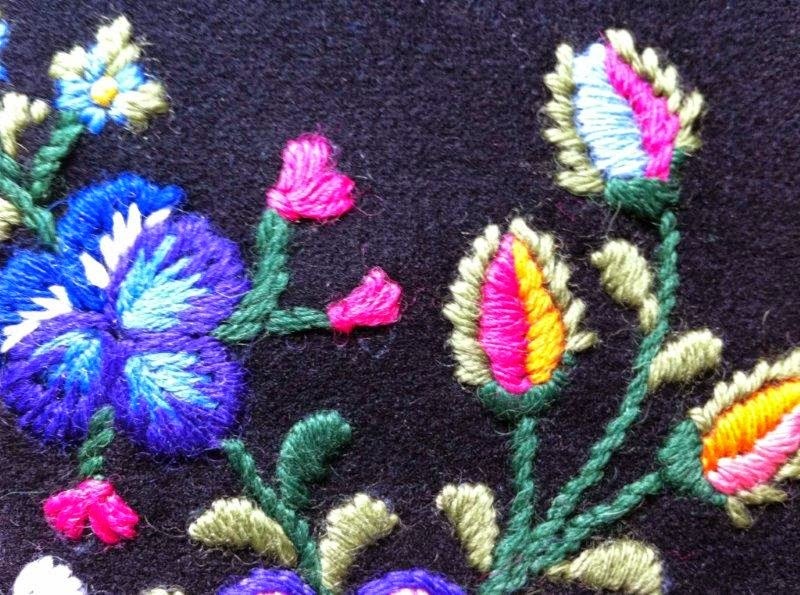 This is a sampler for the embroidery tradition from Dala-Floda called "Påsöm". 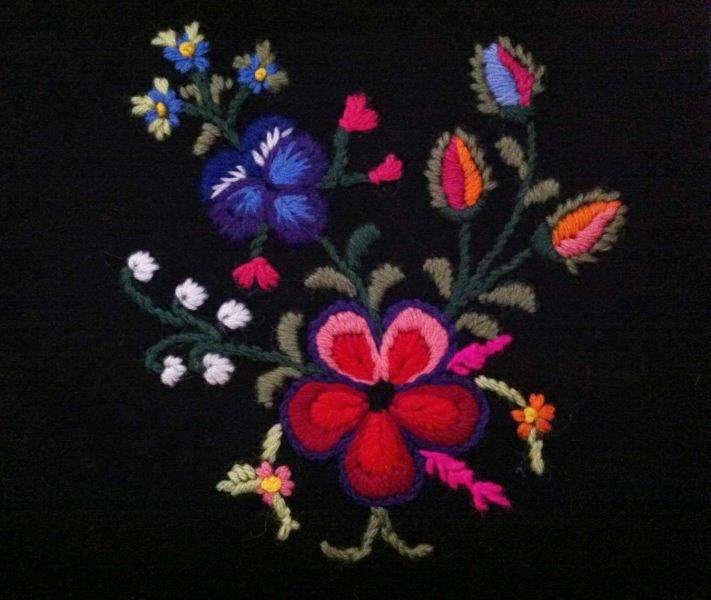 I started this sampler during a course last year but did not finish it until now. I have decided that I will learn how to do this, no matter how long it will take me. Knitting, nalbinding, spinning all seem like the most natural thing to do compared with understanding how to get a needle to cooperate in a creative process .... I guess that I eventually will get an understanding - but I will have to do a lot more practice.